Our all-inclusive curriculum is designed to help you confidently teach your child. The detailed lesson plans cover all subject areas and are created around thematic units. Unit studies are a fun way to learn subject matter and increase your child’s understanding of the material. A variety of activities are provided because each child learns in a unique way. The goal of Homeschool Complete is not only to teach facts and figures, but also to instill higher-level thinking and problem-solving skills that create a love of learning. A+ Publishing is committed to providing Christian parents with a high-quality homeschool curriculum to help meet the educational goals of each family. The methods and ideas have been developed by a certified teacher and tested with homeschool students. 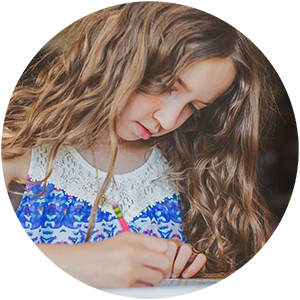 Our curriculum aligns with accepted grade level standards and exemplifies excellence in homeschool education. 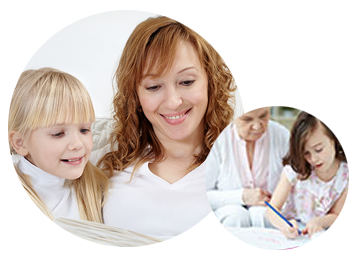 Homeschool Complete is an all-inclusive curriculum designed to help homeschool parents have an enjoyable year in effectively teaching their children. Create a love of learning! Promote higher-level thinking. Develop problem-solving skills. Build on basic facts and figures. Engaging activities within the thematic units will hold your child’s interest and build confidence. A variety of activities are provided since each child learns in a unique way. Enhance your child’s educational experience.